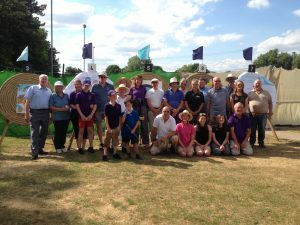 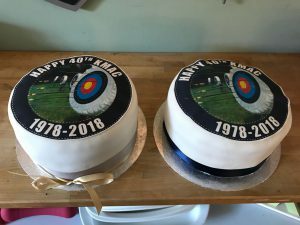 On a very warm and sunny Sunday afternoon around 50 past and present members of KMAC came together to celebrate 40 years of the club. 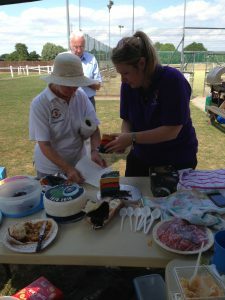 Eileen (chair) welcomed everyone and said it was lovely to see so many familiar faces from past years. 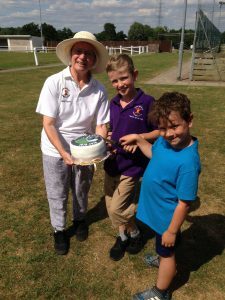 We had a scrumptious BBQ cooked by our chief BBQman Pete, and a delicious archery target inspired cake was baked by Janet with a little help from her sons Oscar & Henry. 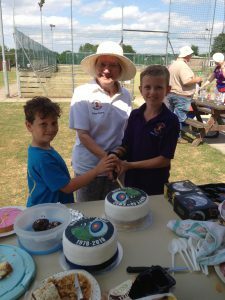 Eileen cut the cake assisted by the clubs two youngest members Harry & Henry. 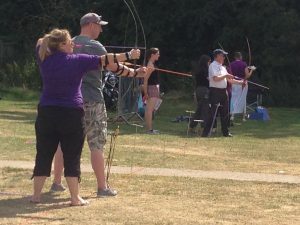 Everyone had a go at shooting at fun targets made by the juniors, some of the past members had not shot for some time however, their archery skills soon came flooding back. 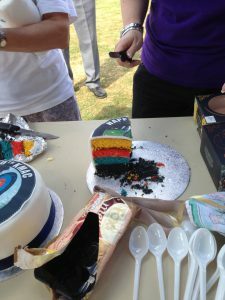 It was agreed that everyone had a wonderful afternoon.